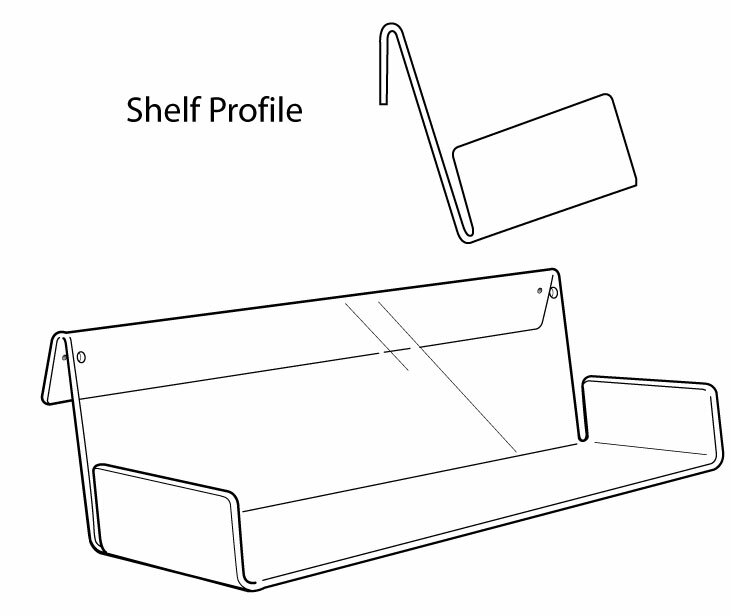 A solid maple frame with birch veneer plywood header board holds 12 clear shelves, 6 per side. Shelves are 5-1/2" deep for holding books and DVDs spine out as well as face out. Great also for party goods, napkins, boxed cards and many other products. Easy assembly required.